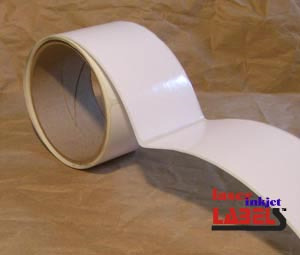 6 ROLLS OF 1843 CONTINUOUS 3" x 3" INKJET ROLL LABELS W/ NO PERF. 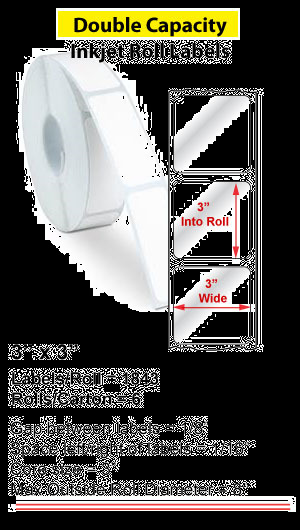 Double Capacity Rolls have twice the labels of our 6" OD rolls and therefore can only be used on machines that require a 3" core and have the space to hold rolls with an Outside Diameter of 8". 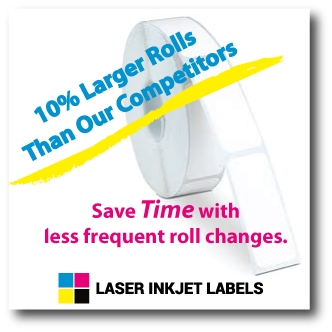 These Double Capacity Inkjet Roll Labels are available in White Uncoated White Semi-Gloss & White ViVidGloss. All label materials have a general purpose permanent adhesive. White Uncoated is best described as being similar to your everyday printing paper. It has a porous smooth white surface with a non-glare, flat finish to it. Our whitest and shiniest material, ViVidGloss's coating is made for high dpi and photo printing. White ViVidGloss holds the ink pattern of each individual dot of color, creating a superior image. ViVidGloss is extremely water-resistant but it is a paper material. If you are looking to label a product you sell, this would be a perfect choice. 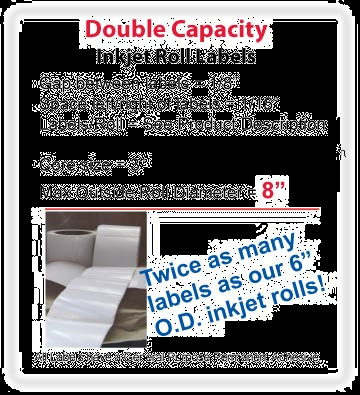 Double Capacity Inkjet Roll labels are sold by the case. There are 8 rolls per case for this item and the prices below reflect price per case. This size can also be made using White Brown Kraft, White PolyGloss and Clear Polyester. Please call or click on our Contact Us tab for pricing quotes and additional sizes.